Well it seems winter has well and truly kicked in so it seems only right to escape these miserable November days by looking ahead to what we can expect to be filling our homes with next season. In part two of my SS19 Trends round up I’m sharing my favourite pieces from the new collections at Dunelm. As a lover of anything with a bohemian vibe and an elephant motif, the range that stood out the most for me was Cinnabar. This is a laid back, globally inspired collection that features some highly decorative pieces. A ‘spice’ palette of gold, rusty red and burnt orange is complimented by a backdrop of neutrals so as not to be overwhelming. 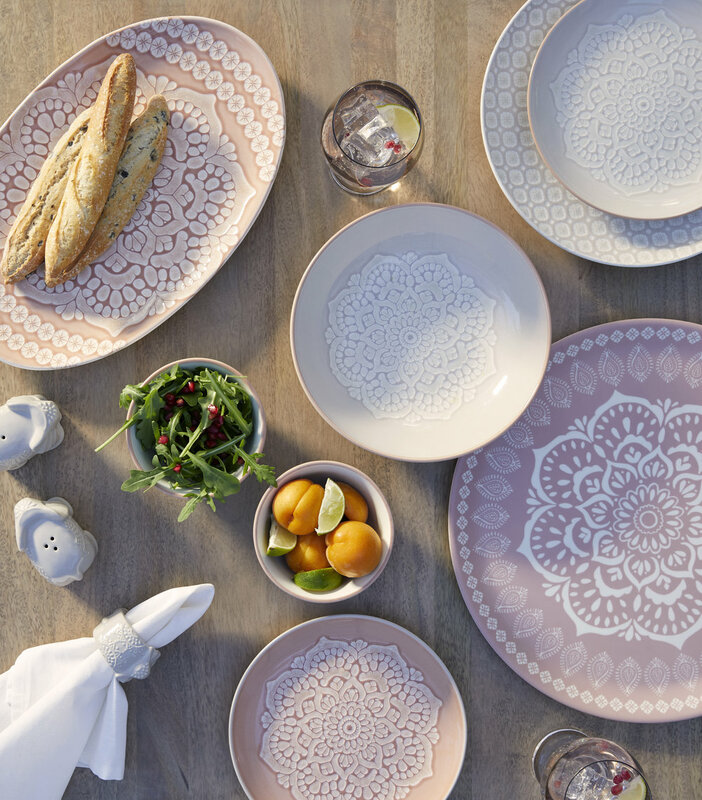 Texture and pattern are central to this theme, with some lovely mandala style dinnerware and fretwork lighting. The elephant salt and pepper shakers are just the cutest things I’ve ever seen! Cinnabar platter, £8 Pasta bowl, £6 Dinner plate, £4.50 Side plate, £3.50 Dip bowls, £3 each Elephant salt and pepper shakers, £6 Elephant napkin rings (set of 2), £8. In contrast to the relaxed boho feel of Cinnabar is 5A Fifth Avenue, a glamorous Palm Springs-inspired collection with a tropical twist. A sophisticated colour palette of black, gold and deep emerald is softened with faux sheepskins and leaf prints. The 5A look is perfect for recreating elegant Manhattan style on a Brooklyn budget (so to speak). 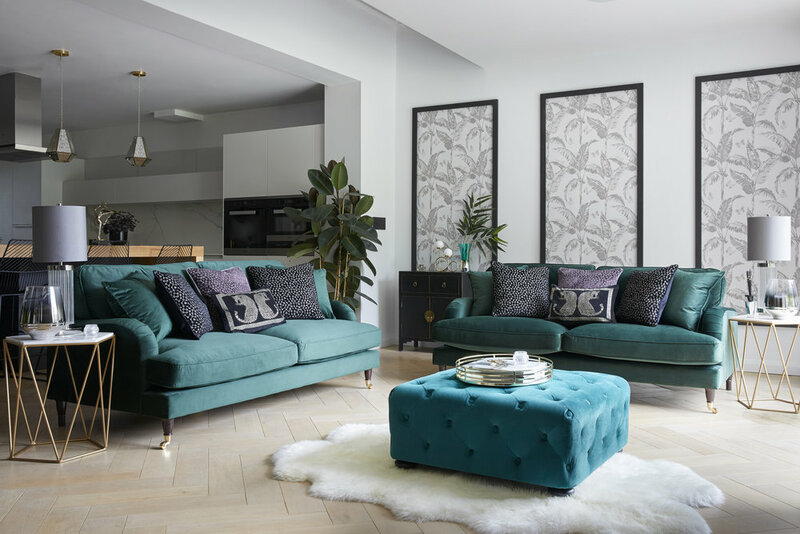 If, like me, you’re coveting the must-have piece for 2019 - a velvet sofa - then the Rupert 3 seater, shown above, offers exceptional value for money. With a price tag of just £549 there’s no time to waste because I’m sure this will be one of the most popular items in store. Glass accessories with a lustre finish and smart botanical fabrics complete the look. In part three I’ll be taking a look more affordable ways to update your home for spring by sharing the best bits from supermarket giant Tesco. Stay tuned!